Prior to the beginning of the ceremony, James and I will be standing apart from the assembled crowd to be presented by our Maids of Honor. Drew and Carmen will be at the altar, and the crowd will be parted on two sides to allow the couple to approach from different directions. Kathy: David Romano, be welcome in this house! Mary: James Douglas Tyson, be welcome in this house! 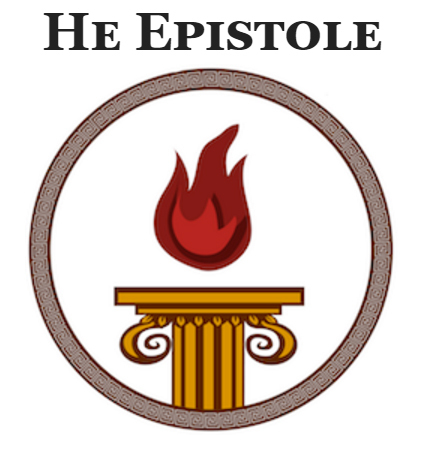 Priest: Firm-seated Hestia, you sit at the center of Olympos, bringing light and warmth to the Immortal Gods. You sit at the center of our homes bringing light and warmth to our lives. Protect our homes and families and be a guiding light to us. Priest: Great Zeus, King of Gods and mortals, you fill the Earth and Olympos with your progeny, the shining Immortals and well-born heroes. Share with us your largesse, for we are children of Earth. Keep us honorable and true to our word, and let us not reject the gifts of a partner�s love when they are offered. Protect our families and our homes, so that we may live in safety and come again to Your altar to honor You another day. Priest: Queen Hera, white-armed and golden-shod, protect those who live in love and partnership and hold sacred the bonds of marriage. Help those of us who wish to live in partnership to find loving and gracious mates and those of us who have committed to a common life to our vows and our spouses. Remind us that love demands that we sometimes yield to our partners. As we honor you with offerings today, may we do so again. Priest: Zeus once perceived Hera by Herself, apart from the other Gods, and sought to seduce Her. He therefore turned Himself into a cuckoo and alighted on a mountain in the country of Argolis in the Peloponnese. On that day He sent a terrible storm, and the Goddess wandered alone up the mountain and stood at the place where later stood the temple of Hera Teleia, Hera Fulfilled. When the cuckoo saw Her, He descended trembling and numb into Her lap. The Goddess took pity on the bird and covered Him with Her robe. At once, Zeus assumed His own shape and sought to make Her His paramour. Hera resisted, until He promised to take Her as His lawful spouse. It is said that Hera was the only wife who ever had a husband of equal rank. Their wedding was celebrated in the palace of Okeanos, at the westernmost edge of the world, and was attended by all the Gods. Each brought a wedding gift befitting a divine king and queen, but the greatest among these was the gift of Gaia, the Mother of all the Gods. She gave to Hera a beautiful tree, heavy with golden fruit, which became known as the Apples of the Hesperides. So rapturous was the wedding night of the King and Queen of Heaven, say the people of Samos, that it lasted three hundred years. And after that time, Hera took Her rightful place next to Zeus on Mount Olympos. She is the Mistress of the Golden Throne and the Protector of Marriage. Priest: David Romano and James Douglas Tyson, is it your wish to commit yourselves to one another? Priest: Zeus Gamelios, Bridegroom of Olympos, spread your clouds around this couple�s bed and hold lovely Eos at bay, extending the night and their love. Lady Hera, Teleia, Completed One, spread your golden light around them, now and always.